Download article (PDF, 125 kb, ZIP), use browser command "Save Target As..."
The discrete Hartley transform (DHT) is a real-valued transform and is closely related to the familiar Fourier transform (FT). This paper presents the application of DHT for power system harmonics and inter-harmonics identification and measurements. Unlike the DFT, DHT can identify these harmonics without any restriction on the frequency of the harmonic to be identified. Also DHT can easily identify the harmonics and interharmonics directly without any mathematical models for any one of them. The proposed algorithm uses directly the samples of the voltage or current waveform at the location where the power quality criteria are to meet. In this paper, the convolution property of the DHT is used in the identification and measurement process. Because the Hartley transform is a real transform, it is more computationally efficient than the Fourier and Laplace transforms. Different examples are presented. Effects of critical parameters on the performance of the proposed algorithm are discussed. Сitation: S. A. Soliman. Power systems harmonics and inter-harmonics identification:. Electronic Journal “Technical Acoustics”, http://www.ejta.org, 2005, 18. 1. O. Poisson, P. Rioual, M. Meunier. New Signal Processing Tools Applied to Power Quality Analysis. IEEE Transaction on Power Delivery, vol. 14, N°2, 561–566, 1999. 2. L. L. Lai, W. L. Chan. Real-time Frequency and Harmonic Evaluation using Artificial Neural Network. IEEE Transaction on Power Delivery, vol. 14, N°1, 52–59, 1999. 3. Test Systems for Harmonic Modeling and Simulation. Transmission & Distribution Committee, IEEE PES, IEEE transaction on Power Deliver, vol. 14, N°2, 579–587, 1999. 4. S. Liu. An Adaptive Kalman Filter for dynamic Estimation of Harmonic Signal. The 8-th Int. Con. on Harmonic and Quality of Power ICHQP’8, Athens, Greece, 636–640, 1998. 5. S. A. Soliman, K. El-Naggar, A. Al-Kandari. Kalman Filtering Based Algorithm for Low Frequency Power Systems Interharmonics Identifications. International Journal of Power and Energy Systems, vol. 17, N°1, 38–43, 1997. 6. S. Antoso, E. J. Powers, P. Hofmann. Power Quality Assessment via Wavelet Transform Analysis. IEEE Transaction on Power Delivery, vol. 11, N°2, 924–930, 1996. 7. C. S. Moo, Y. N. Chang, P. P. Mok. A Digital Measurement Scheme for Time-Varying Transient Harmonics. IEEE Trans. on Power Delivery, vol. 10, N°2, 588–594, 1995. 8. J. V. Miller, M. B. Dewe. The Application of Multi-Rate Digital Signal Processing Techniques to Measurement of Power System Harmonic Levels. IEEE Transaction on Power Delivery, vol. 8, N°2, 531–539, 1993. 9. J. F. Chicharo H. Wang. Power System Harmonic Signal Retrieval for Active Power Filter Applications. IEE 2nd Int. Con. On Advances in Power System Control, Operation and Management, 393–398, December 1993, Hong Kong. 10. G. T. Heydt, et al. Application of Hartley Transform for the Analysis of the Propagation of the Non-Sinusoidal Waveforms in Power Systems, IEEE Transaction on Power Delivery, vol.6, N°4, 1862–1868, 1991. 11. H. V. Sorensen, et al. On Computing the Discrete Hartley Transform. IEEE Transaction on Acoustics, Speech, and Signal Processing, vol. ASSP-33, N°4, 1231–1238, 1985. 12. R. N. Bracewell. The Hartley Transform. Oxford University Press, New York, 1986. 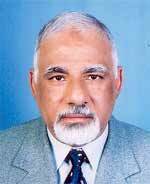 S. A. Soliman (Ph.D) received his B.Sc and M.Sc in 1973 and 1977 respectively from Ain Shams University, Faculty of Engineering, Egypt (all in electric power and machines) and Ph. D in 1986 in Electrical Engineering from the University of Alberta, Edmonton, Alberta, Canada. He is now a professor and head of Electrical Engineering Department, University of Qatar, Doha, Qatar. Prof. Soliman authored and coauthored three books in the subject, published by Plenum Press. Furthermore, he authored and coauthored more than 110 referred journal paper, and more than 50 referred conference papers. His research interest is in the area of power system, power quality, power system planning, and application of state estimation to power system as well as fuzzy systems applications.